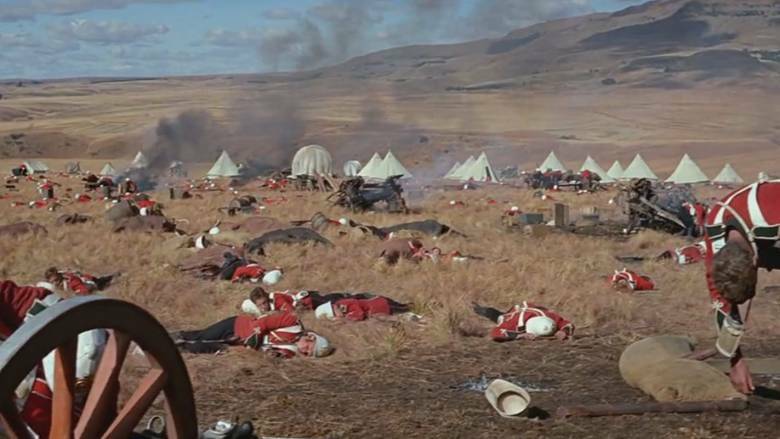 The epic battle at the British outpost of Rorke’s Drift in South Africa in 1879 is recreated in this lavish historical drama. Though Zulu warriors outnumbered Britain’s soldiers by 40 to one, the British repeatedly held off multiple waves of attack, subverting the intended massacre. Zulu was shot on location in the Royal Natal National Park, and is narrated by Richard Burton. Filming Zulu was a homecoming for writer/director/producer Cy Endfield, who was born in South Africa. When he was identified as a communist by House Un-American Acvities Committee and blacklisted in 1951, he moved to England. The force of the blacklist was so strong, even in England he was forced to use pseudonyms. Stanley Baker as Lt. John Chard R.E.